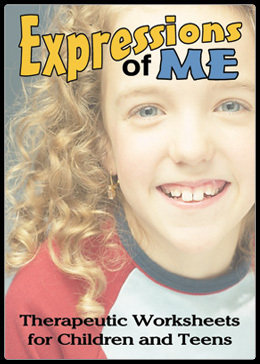 Among the many exclusive downloadable parenting tools we offer here at Behavior-Contracts.com is a fabulous set of therapeutic worksheets for children (otherwise known as "Expressions of Me!"). 3. To help facilitate open communication about important topics between children and parents. Therapeutic worksheets are exactly what they say they are – they are worksheets that are specifically designed to provide some sort of therapeutic benefit to the individual using them. These particular worksheets may offer some sort of "emotional outlet" for the user or may have a "healing" (or cathartic) value to them. 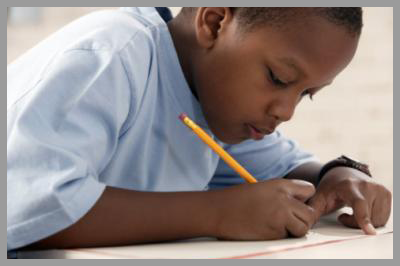 Therapeutic worksheets offer children a safe outlet with which to express feelings, needs, and ideas related to a variety of issues. Parents and mental health professionals can gleam valuable insight from the answers that their children and/or clients provide. Simply print the worksheets then grab a pencil and get going! There is no particular order in which the worksheets need to be completed and there is no "right" or "wrong" way for any child to answer. Once the child is finished with a worksheet (or a set of worksheets) then the parent, teacher, or mental health professional can sit down and process (review) the answers with the child. Often times, children don’t want to talk face to face with a parent or therapist. They find it uncomfortable, embarrassing, and sometimes even intimidating. Therapeutic worksheets relieve those uneasy feelings and allow children to express themselves in a safe, comfortable and non-threatening manner. Parents, teachers, counselors, therapists, and other mental health professionals will find these downloadable worksheets useful when working with children in a residential, clinical, or institutional setting. If you work with children and/or adolescents in a therapeutic capacity then these downloadable worksheets are just what you need to foster therapeutic discussions and to gain insight about the child or client you are working with. If you are in need of some valuable and easily-accessible worksheets then you have come to the right place. We think we have just what you need!